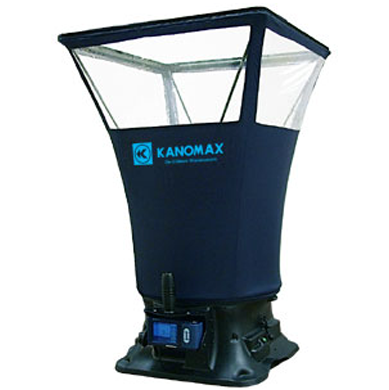 The Kanomax TABmaster is the perfect tool for accurate supply and return airflow measurements. Interchangeable hoods make it a snap to sample the air for any duct size. The unit is lightweight and easy to handle.The full color screen can be tilted so it’s always at the optimal viewing angle regardless of height.